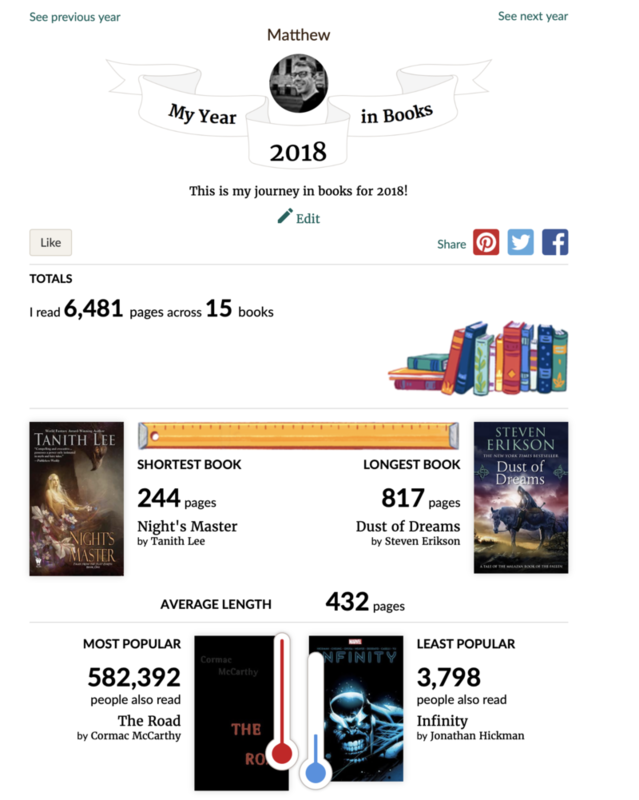 My 2018 year in books. This was the first full year of our book club at work. Highlights from last year definitely were the City of Brass, Norse Mythology and the Fifth Season.There were at least two books that had good overall reviews on Goodreads, but I could not get into. Lies My Teacher Told Me and The Cuckoo's Calling both hit a flat note with me. You can find all of my reviews for those books linked above. Road trips are great for audiobooks and I was able to listen to this one in the span of a single day. I discovered Hercule Poirot about a year ago while reading Murder on the Orient Express. I was completely in love with that book and I am obviously a fan of the old detective novels like this and Sherlock Holmes. This is a solid entry in the series and is the first Poirot adventure. 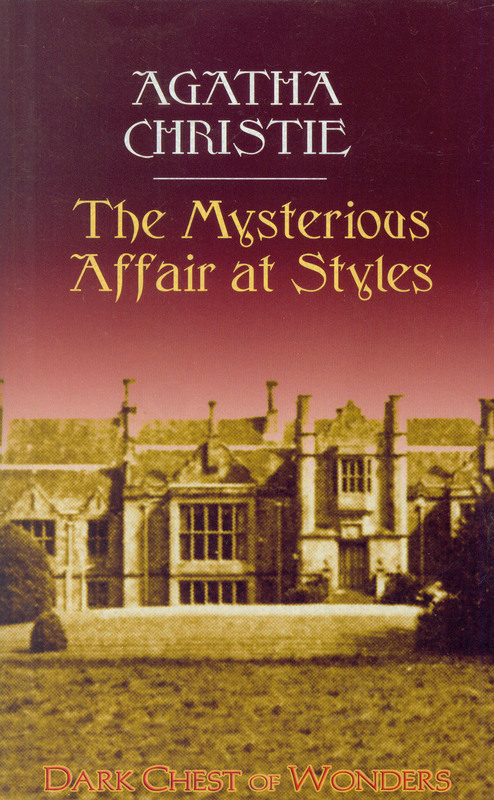 The story follows the similar formula, or perhaps establishes the formula for the Poirot series. Half the fun of these novel in my opinion is to try and catch the clues throughout the book to try and identify the murderer using the same methodology as the detective. There is a bit of narrative stretch that occurs sometimes. They seemingly pull out pieces of information from the world that you are not privy too, but overall Christie does put the pieces there for you as a ready to draw upon. I wasn't as enraptured as I was with Orient Express, but this was a solid and fun book in the series. Wow. This books certainly came out of nowhere and surprised me. I started listening to this book a few weeks ago and it didn't catch me at first. I left the library rental expire and then I decided to give it another go a few weeks ago. Once the story got going, it absolutely pulled me in. This is labeled as a "Young Adult" book, but it is probably the most "adult" YA book I have read. The story is well put together. While it does cover many of the standard fantasy tropes, the world that Garth Nix has put together is incredibly well thought out. The magic system and world history is interesting. There are elements here the harken back to the John Carter or Narnia series in the way the world is constructed. It is tight and focused, keeping the world building isolated to the immediate land that the story is taking place in. We don't learn about the "whole planet", but that doesn't matter in the story telling. I really liked the story arch that our main character, Sabriel went through. She was portrayed as a strong female lead character. She was capable where she needed to be, but knew that she was inexperienced. 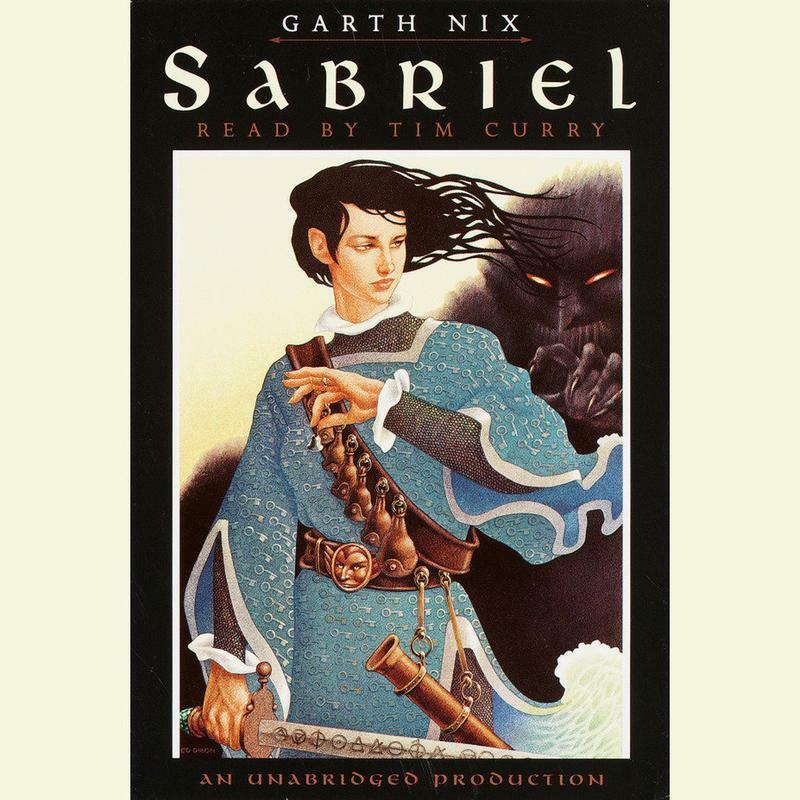 That inexperience was a primary plot device as it related to the Old Kingdom, but it was never used to victimize Sabriel. She also didn't fall into the traps that are so commonly used with YA or genre fiction where her decisions were driven by teenage emotions. Sure, she is a young adult in this book, but her character show the right amount of composure and emotion to make her believable. I really love that the other characters in the world held respect for her, for the Abhorsen, despite her age. It really showed a lot about the world. Narratively I felt like this book was written as a result of Garth Nix playing D&D. Several of the plot points played out like D&D encounters in my opinion. They were satisfying though, nonetheless. Overall, I loved the book. Any let me just put a final note in for that cover art. I absolutely love that artistic choice.